1. Do rows Bent over and dumbbell rows build the upper back muscles, keeping them in balance with your pecs. 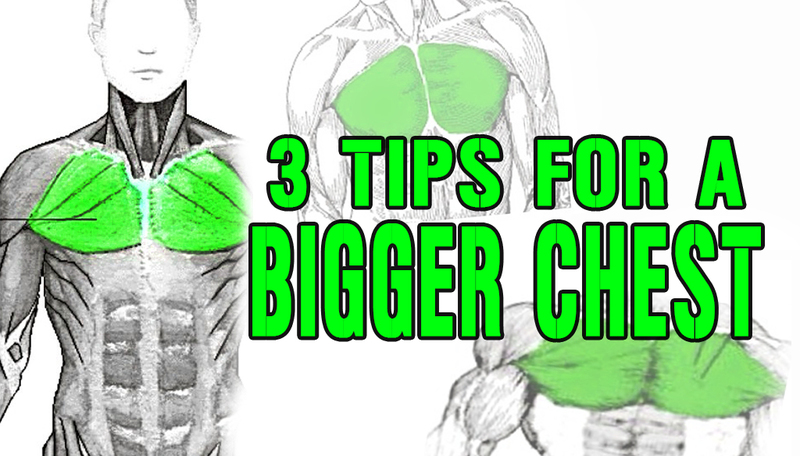 Your chest won’t grow if the body senses imbalance, so do as much work for your back as for your front side. 2. Do Suspended Flyes Forget lying on the bench. Use gymnastics rings or a suspension trainer like the TRX and perform a flye motion. Moving your body weight through space rather than moving dumbbells activates more pec fibers. 3. Use less of an angle Most guys do incline or decline presses at too steep an angle, transferring the stress of the exercise to their front delts and, worse, their shoulder joints. Use a shallower angle of 20–25 degrees to work the pecs more safely and directly. Did you know: Pectoralis comes from the Latin word pectus, which means chest or heart and soul. Awesome ab workout that you can do anytime of the day at your HOUSE. Its too easy to understand if pics also be there……….